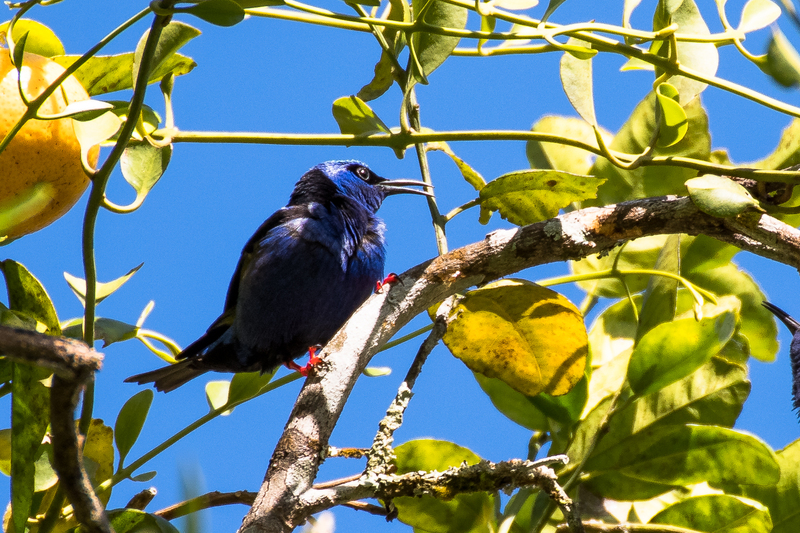 The red-legged honeycreeper (Cyanerpes cyaneus) is a small songbird species in the tanager family (Thraupidae). It is found in the tropical New World from southern Mexico south to Peru, Bolivia and central Brazil, Trinidad and Tobago, and on Cuba, where possibly introduced. Tha attached image was taken in Altos del Maria, Panama. 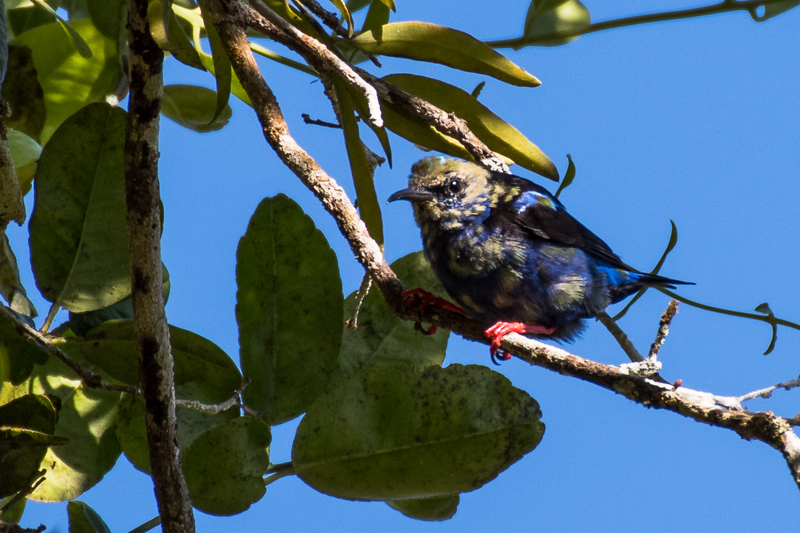 The adult male is one of the few tropical birds that changes its plumage during the breeding season; outside breeding season the blue-violet parts of its plumage become green, the back and crown also turn green; Being thus with a plumage similar to the one of a female but with black wings. 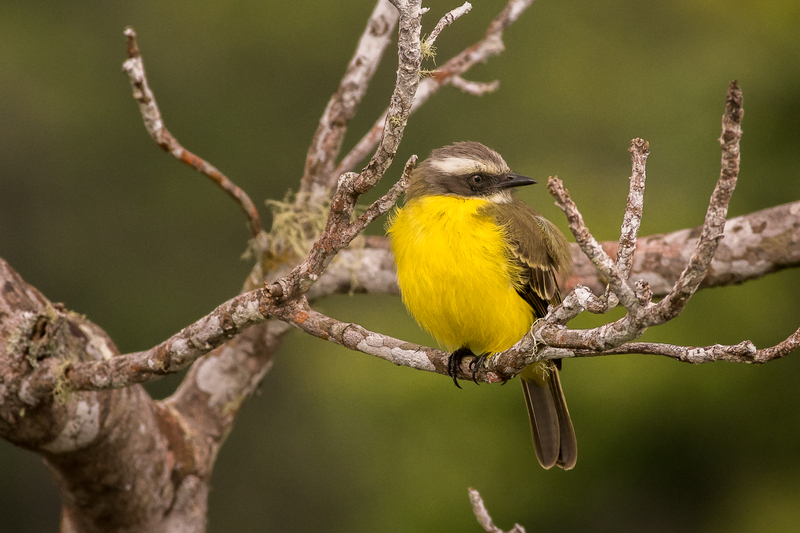 The social flycatcher image taken in Altos del Maria, Panama. 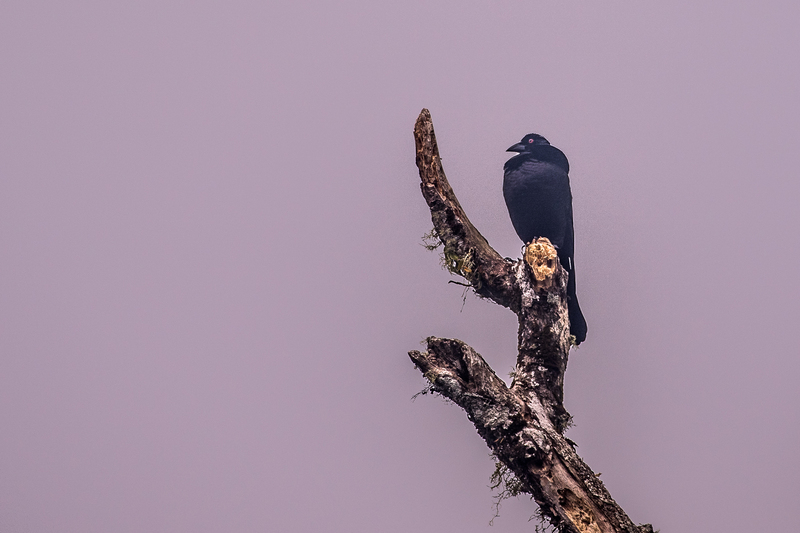 The giant cowbird (Molothrus oryzivorus) breeds from southern Mexico south to northern Argentina, and on Trinidad and Tobago. 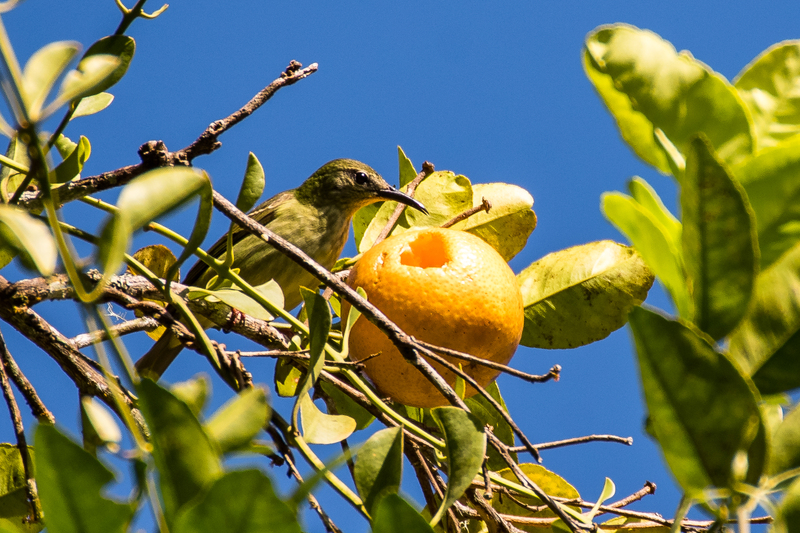 Seen here close to some oropendolas nests waiting for his chance, as it is a brood parasite, laying its eggs in the nests of oropendolas and caciques. 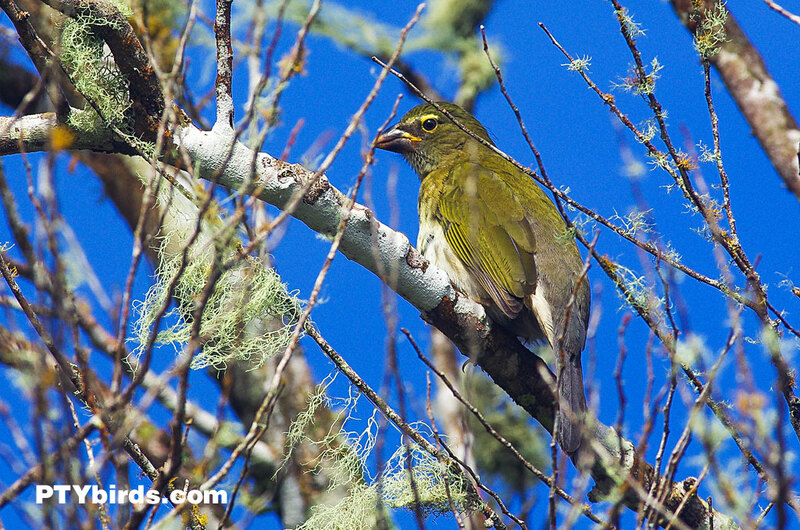 The streaked saltator (Saltator striatipectus) is a species of saltator in the Cardinalidae family. 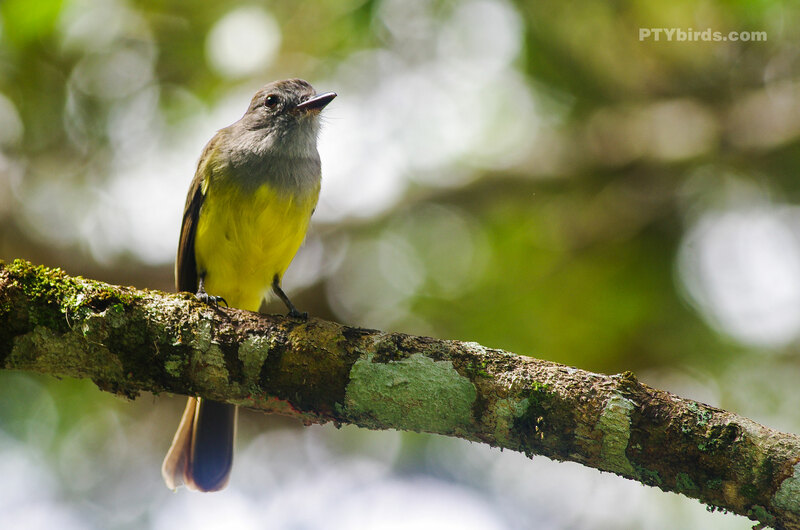 It is found in Colombia, Costa Rica, Ecuador, Guadeloupe, Panama, Peru, and Venezuela. 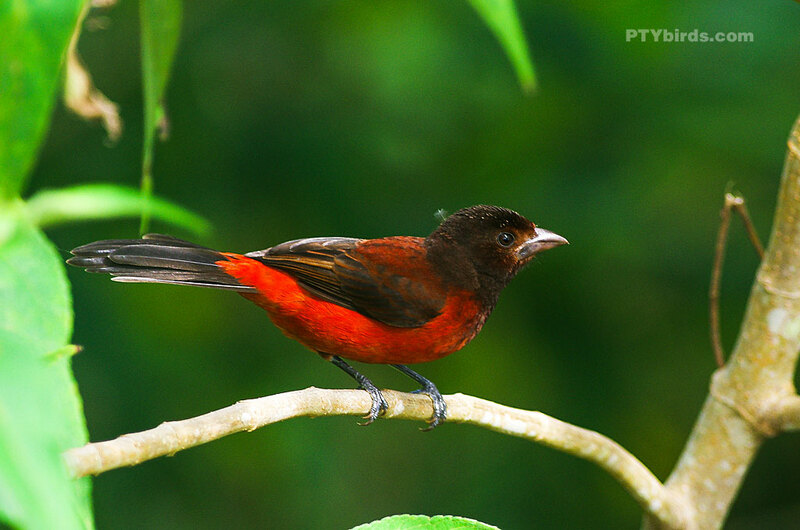 The Red-crowned ant tanager is a resident breeder from Mexico south to Paraguay and northern Argentina, and on Trinidad. 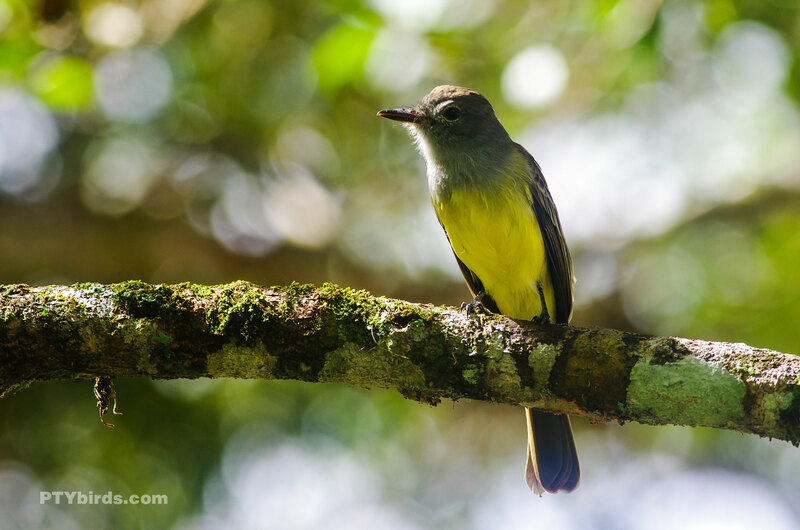 The Panamanian flycatcher (Myiarchus panamensis) is a species of bird in the family Tyrannidae. It is found in Colombia, Costa Rica, Panama, and Venezuela. 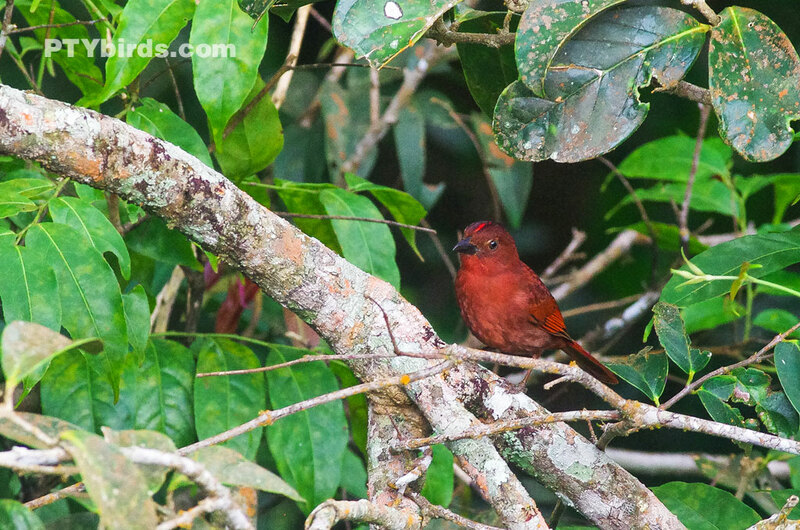 The crimson-backed tanager (Ramphocelus dimidiatus) is a species of bird in the family Thraupidae. It is found in Colombia, Panama, and Venezuela. 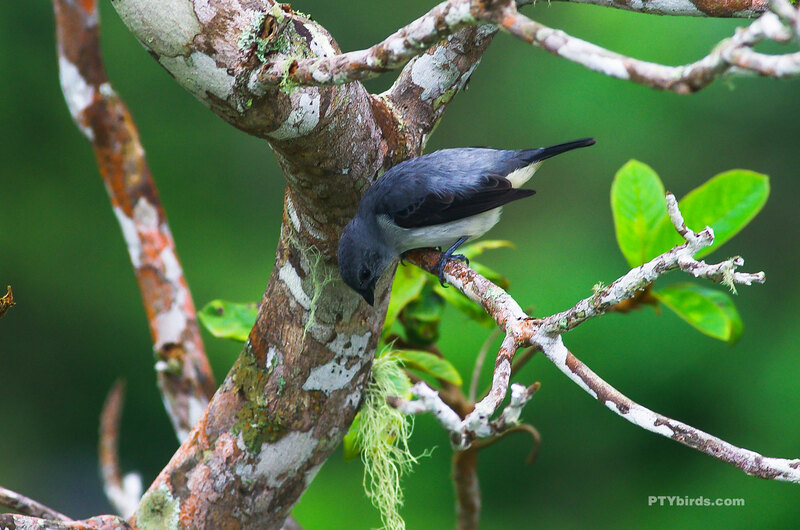 Its natural habitats are subtropical or tropical moist lowland forests and heavily degraded former forest. A nickname in Panama is sangre de toro (“Blood of the bull”). The plain-coloured tanager (Tangara inornata) is found in Colombia, Costa Rica, and Panama. 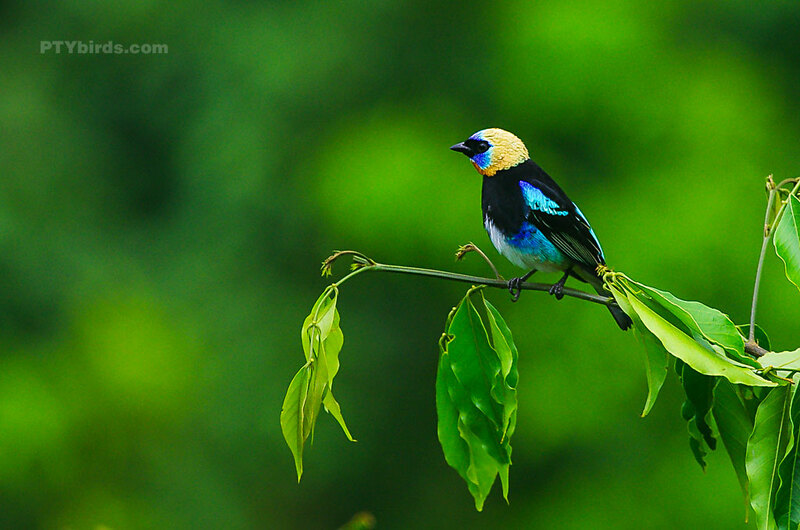 The golden-hooded tanager (Tangara larvata) is a medium-sized passerine bird. 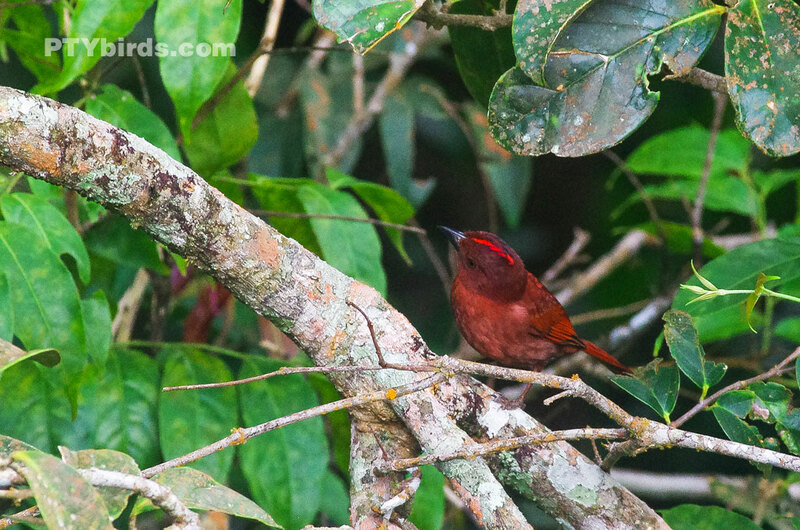 This tanager is a resident breeder from southern Mexico south to western Ecuador. 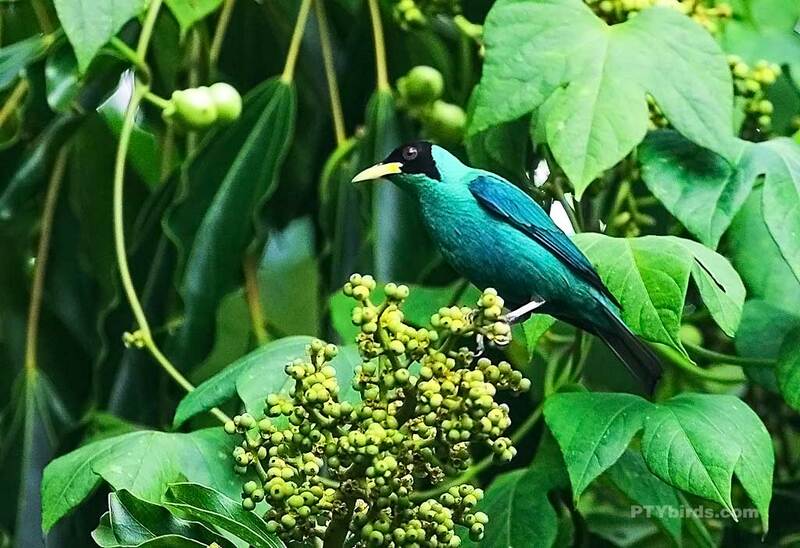 Green Honeycreeper, image taken in Altos del Maria, Panama.